How did you get your start in the industry? Where did you study? As a child, I studied piano. As a young man I was playing keyboards with the Power House 19-piece Big Band and was able to learn and practice orchestration on the job, whilst also writing and producing ten jingles a week. Practicing helped me to hone my orchestration skills. After composing the musical score for The Man from Snowy River, I began studying conducting with Robert Rosen, a famous ballet conductor. Robert really taught me the importance of accuracy in conducting. He used to say, “a ballerina can only be airborne for so long, and when she hits the ground you’d better be there at the same time!”. He was a wonderful teacher. Is there anything you wish you had known before starting in the industry? No – but I must say I’ve had a great time finding out! I believe that inspiration comes from desperation! It’s about what you can achieve under the pressure of a deadline. If it has to be done by tomorrow, it’s quite often as simple as what feels best at the time. Which is more important in the early stages of composing: structure or creativity? When you are composing, do you begin with a musical idea first and then consider the use of form later? I think the most important things when composing are whether the music feels right, and whether it captures and conveys the desired emotion. I always consider whether compositions have the ability to make audiences feel a whole variety of emotions in line with the movie scenes the compositions are written for. I think form is important, but nowhere near as important as the idea behind the music. I find that form seems to more or less take care of itself once I’ve clarified an idea. And although this is what works best for me, it’s not necessarily the right way for everyone to go about composing. Do you think it is possible to work as a composer without a Music Degree? Yes. It’s quite possible to become a successful film composer without first gaining a degree. A degree won’t get you a job in the music industry – knowledge, talent and expertise will. It doesn’t matter whether you’ve gained these attributes through tertiary study, workplace experience or other avenues. Personally, I think that ‘on the job’ experience is very important – I think it’s a lot more relevant. In such a competitive industry, how can emerging composers catch a film maker’s attention? Emerging composers can catch a film maker’s attention by composing! The best way to make opportunities is to put yourself out there and build positive relationships with other people in the industry. This doesn’t need to wait until you’ve graduated and are working professionally. If you’re at college studying composition, for example, you’ll probably know people who are studying script writing, direction, audio engineering, etc. It’s likely that at some point in time you’ll all have to work together on a student film. You’ll probably get to score your first short film this way. If your friend, the student director, likes your work, they will probably book you again. Who knows, maybe they’ll end up being the next Steven Spielberg! These kinds of collaborations are a great way to get to know others and start to build a reputation. 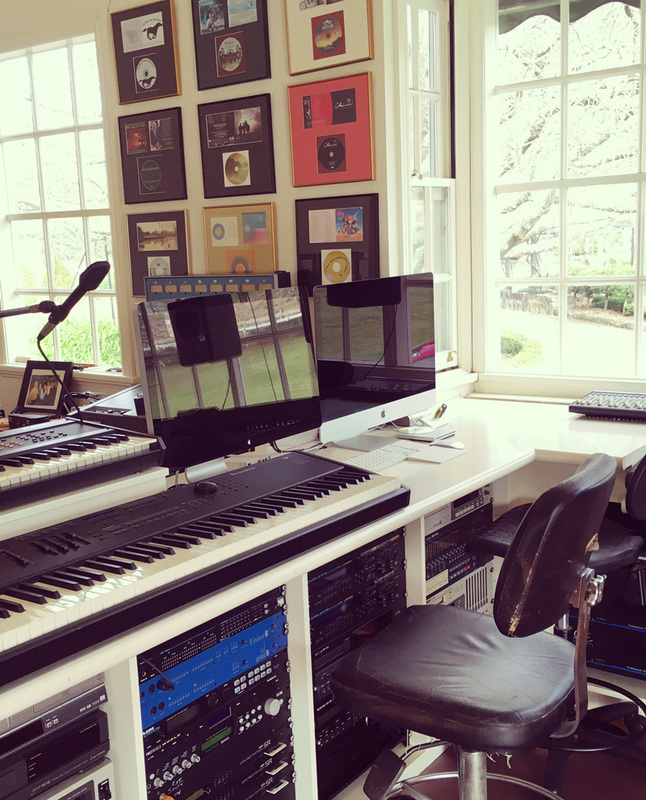 How do you think advances in technology has affected work opportunities for film composers? Composers have a duty to try and keep up with advances in technology as much as possible. The only alternative to being able to keep up yourself, is to hire someone to keep up for you! Today, composers are generally expected to deliver the final score ready for inclusion in a film. This means that they are expected to be able to use modern recording and editing technology. Where can I purchase your recordings or sheet music? Audio recordings and sheet music for many of my scores are available for purchase online. Details can be found here. How can I request permission to perform Bruce’s music or apply for a Dramatic Context Licence? If you would like to perform Bruce’s music or require a Dramatic Context Licence, please contact Media Arts Lawyers. Please visit the contact page for details.